Get your blood pumping in British Columbia! 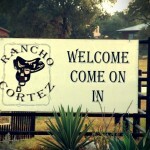 Rancho Cortez, Texas: Saddle up Sally! Diva World Quiz: Test yourself with this Tango Diva Trivia!